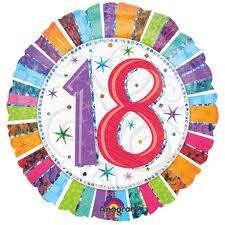 This week my goddaughter is 18. She was 17 last year, obviously, and passed her driving test, so it shouldn’t really have come as much of a shock that she’s 18 this year, but it has! I remember her metamorphosis : an idea, a bump, a baby. Her mum, one of my oldest and bestest friends, phoned me from the hospital soon after she was born, and I can still recall with clarity her helpless, endearing cries. I saw her shortly afterwards, and can see in my minds’ eye, the nick on her tiny face where they cut her from the womb, less easily than imagined. I don’t know what happened. She grew up, and I missed it I guess! Absorbed in my own changes and happenings, good and bad, a tiny girl has grown into a young woman. The thing is, my own ‘coming of age’ (celebrated at both 18 and 21 – we hadn’t quite focussed on which to celebrate when I was that age!) only seems like yesterday. I don’t feel any older than I did then, inside at least. My body may give the game away, but my mind refuses to accept that decades, not weeks, have passed since then. I suppose ageing is like that. It creeps up on us, until one day we look in the mirror and realise we are officially ‘old’. I am not willing to concede the fact just yet, however! My father is 81 this year. He has always been a fit and active man, a semi-professional sportsman when he was younger; he’s never really stopped believing that he isn’t still agile and youthful. He attempts things that you wouldn’t sensibly expect an octogenarian to attempt. Thankfully he is still fit, has great reflexes, and is relatively healthy, but after heart surgery and a knee replacement, crawling about on roof tops isn’t necessarily the best form of staying active! Walking down a gorge last year, a little too close to the edge, I remember him saying that it would be OK if he fell, as he’d just grab onto the sides and haul himself back up! The thing is, he really believes that his reactions and strength are good enough for him to be able to do that. He still believes he is young and invincible. My response is ambivalent – I don’t know whether to applaud or chastise. I admire the fact that he stubbornly refuses to adhere to the ‘rules’ of ageing: he stays up late and sleeps in of a morning, his appetite is as voracious as ever, and his diary is as full as, or perhaps even fuller, than mine. I wonder if he feels like his 21st birthday was a few years ago, rather than over half a century away? The point is not that we age, or that time appears to speed up as we do so, but that we ‘seize the day’ and make the most of the opportunities that come our way. At 18 you have an entire life spanning out before you: you can do anything, go anywhere, chose who you want to be and what you want to do. You don’t know, however, if your life will be short or long; whether you will be looking back at 50, or 80, and wondering where the time has gone and what you did with it, or whether your life will be cut short at 30 or 40, or even younger. I wish I could explain to my goddaughter how fast her life will travel, how soon she will be married with children of her own – if that’s the route she chooses. Of course, she wouldn’t pay me any heed. I’m ‘old’ like her mum, to be at best, politely ignored, and at worse, rebelled against and reviled. I wouldn’t have listened to me at her age either. I knew best, my parents knew nothing relevant. You can never put a wise head on young shoulders because it’s life’s experiences that, for the most part, makes us wise and sensible, although hopefully never too wise, or too sensible to ‘act our age’! The most I can do is wish my goddaughter all the best for the journey ahead. I won’t ask that she has no pain in her life, but that she always has good friends and family to support her when times are hard. My life thus far has not been without tribulation, and at 18 I could not have envisaged the twists and turns my life would take, but I’ve survived the rough and the smooth, as most of us do, carried through by the joys and beauty and happiness we experience, and the safety net of good friends and family. She has had a supportive and loving family, and that will count for a lot. The Liberation of Being Messy! Some people enjoy messing about in boats. I relish messing about in the kitchen. 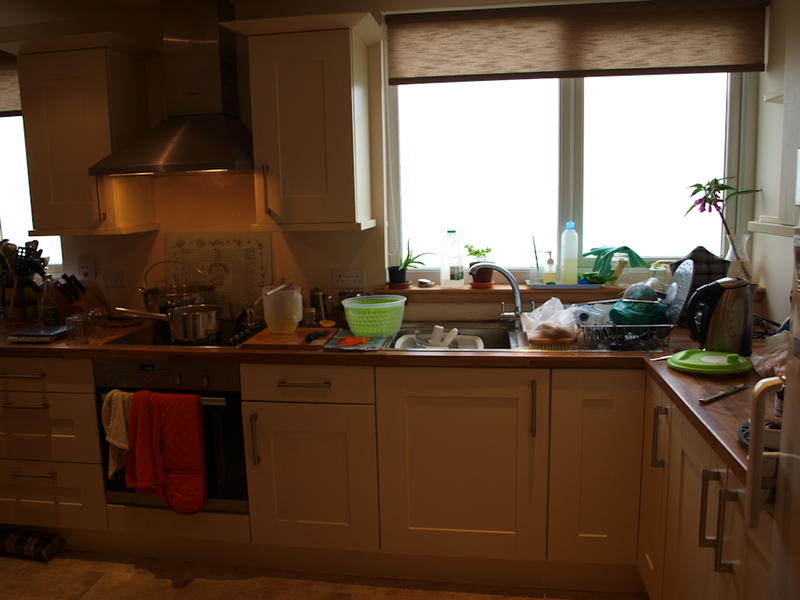 And mess, it generally is when I have one of my cooking days. John Torode of Masterchef fame would have a fit! But it’s the ‘messy’ bit that’s part of the fun! I am not a neat and precise cook. I bastardise recipes: I conjure and create, adjust and titivate, strip down, reduce, add and enjoy! I don’t often mess up a finished dish; thankfully I have enough cooking experience, training and general nowse to know what I’m doing, for the most part. So whilst my chaotic cooking sessions could never be neat and ordered occasions, they still have a background of sanity and shape – although anyone who has ever lived with me might well disagree. With cooking, for me the creating is half the fun, and the eating of course the other half. The journey is definitely as important as the destination. People who cook out of necessity rarely enjoy it. Like kids who invariably end up with sticky mitts, and many chefs and pâtissier, I enjoy getting stuck in with my hands, feeling the ingredients and textures, telling with my sense of touch when something is ‘right’. It’s a dimension of cooking that weighing and spooning and machinery can’t give you. Like the constant tasting that chefs do to check a dish, using your hands can bring something important and elemental to cookery. OK, so you don’t need to make a mess to use your digits and enjoy cooking, but it can be very liberating to have flour on your worktop and your hands, spats on the cooker, and a pile of washing up – and no spoons left in the cutlery drawer. You can clear up at the end. It’s no big deal! Give it a try one afternoon when you fancy a baking or jam making session, no one will know, and you might even have some fun! Author DebbiePosted on June 22, 2012 Categories CookingTags cooking, creating, food, mess, recipesLeave a comment on The Liberation of Being Messy! Not a very exciting blog title I feel, and a difficult subject to write on because it’s potentially so overwhelming. We are micro-organisms in gargantuan, unknowable universe on the one hand, and on the other we are hugely powerful beings with massive responsibility, co-opted to share the world’s resources in a fair and equitable manner. Some people I’m sure would dispute the latter statement, and not just hedonists and naysayers, but many people who find life a struggle through circumstances of poverty, ill health or lack of opportunity, and others who don’t think or care, or don’t care to think! It’s easy to get stuck in our own ‘sloughs of despond’ and feel that we are powerless to help ourselves, let alone anyone else! What can we do about corruption, or war, or the arms trade, or child prostitution, habitat loss, poverty or global warming? Thankfully there are individuals and organisations that are working to achieve positive outcomes in these areas and more besides, and millions of us worldwide who support them. What concerns me is the lack of coherence. 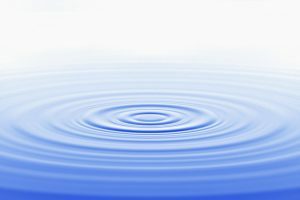 We understand that people power, especially through the power of the internet, has the potential to change things, but we often fail to unite and harness the elemental might that comes from a single voice and a single direction. Third sector organisations do a massive amount to alleviate suffering both globally and locally, and sometimes such as in times of crisis, they work together towards a single objective, which is both laudable and necessary, but is not enough. We are all trying to fix something which is beyond repair. Peel away one bad layer, and another takes its place. The whole is rotten and can’t be rescued. The earth will recover ultimately, once humanity has been erased from its surface, but if we want to be part of the on-going story of planet earth then we need new paradigms for living. We have the knowledge, intellect, skill, and physical ability to change and renew, to start again, and we need the heart and will to do so. Politicians, economists, financial institutions, corporations, as well as individuals, need a new purpose and identity, part of the whole. People in power are afraid; afraid of losing their power, of becoming insignificant, and they are right to fear because the peaks and troughs of our societies do need to be levelled. There is no need for famine, poverty, inequality, we have the resources to re-distribute wealth, in all nations of the world, through a new economics that values people above profit: in business, in banking, in trade, in politics; we become truly human, truly powerful when we acknowledge our greed, frailty and mistakes and determine that we will change things – together. 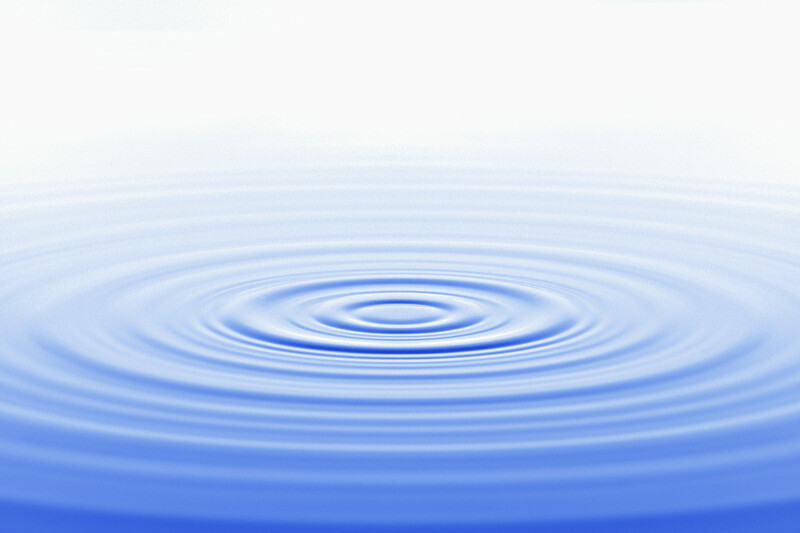 The analogy of a pebble in a pond setting off ripples across its surface is useful, if limited. The butterfly effect is perhaps over-used and equally simplistic, but it helps to convey how seemingly disparate elements are related. The reality is EVERYTHING is connected to everything else! Cheap food in the UK means mono-culture, animal suffering, pollution, habitat loss, reduction in bio-diversity, lack of food security, food miles, oppression of the poor in other countries and rural poverty. An economy that is based on the need to grow and expand infinitely is one doomed to failure. A world where farmers go bankrupt whilst supermarkets gain huge profits is not sustainable; a world where money has become an electronic blip – extendable if you are rich and concrete if you are poor – is in danger of losing any grasp on reality at all: It is not only the farmers who will be bankrupt and suicidal. Food is a hugely political issue these days, and when you have financial corporation’s dealing in it, diminishing its value by ‘betting’ on its chances in the future, then you really have lost the plot! The reality is that every financial decision and purchasing choice I make has repercussions, not only in my local community, but across the globe. This is about far more than being a concerned or ethical shopper, as trendy or good as that may be, it is about reclaiming worth for ourselves and our fellow planet dwellers, making money real and its benefits percolating throughout communities; about valuing what’s real and lasting in relationships, in the natural world, and not being exclusively governed by ‘the bottom line’. Of course, not everyone will get on board, those who have a vested interest in the status quo, who keep their fingers crossed and ‘fiddle while Rome burns’, but we don’t need everyone on board, just enough to reach tipping point. Change will come. It has to. We can either be a part of it, and acknowledge our place in the world, or we can act with self-interest and greed, failing to acknowledge that we are part of something much bigger than ourselves. It will be a shock to those people when the world swallows them up and spits them out! I don’t have the answers. No one person or organisation or political ideology does, whatever they may say, and that’s the positive part – we all have a section of the jigsaw that makes the whole picture, only by collaboration and co-operation can we piece it all together. I am not a pessimist, but I do believe we need a revolution to take place on a global scale – financial, political, social, and personal. Global warming, the rise in food costs, and the current turmoil in the financial markets of Europe and beyond are not isolated happenings, but intimately connected to the way we live our lives as nations and individuals. I acknowledge that my grasp of this topic is woefully inadequate and ill-informed. Thankfully there are much better minds than mine working on solutions to the challenges we face. What I do know is that change is both necessary and inevitable – and it will be better to ride the crest of the wave together than crash and burn on the beach alone. Author DebbiePosted on June 12, 2012 Categories LifestyleTags change, economics, finance, food, global warming, money, poverty, resources, third sectorLeave a comment on The inter-connectedness of Things..